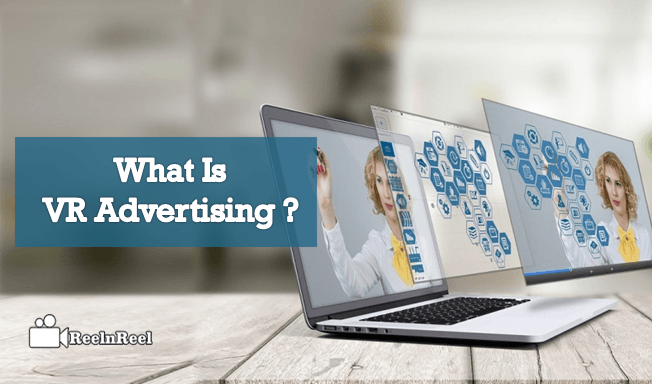 Home » Video Marketing » What Is VR Advertising? VR or virtual reality is a technology that is gaining popularity due to its ability to engage viewers. The users of VR can feel that they are in the exact location. VR headsets are also being offered by companies such as Google, Samsung, and Sony making it easier for the users to enjoy the new technology. VR is becoming important for the advertisers also. VR allows the consumers to interact with the branded content. Brands can deliver their tailored message to their target audience. VR takes the users into a new virtual world. Brands now have a unique opportunity to elevate their brands and improve their marketing efforts. Since the wow factor is extremely high and so the virtual advertising can really make a huge impact on the users. When brands are associated with the VR experience, the general public will not forget the brand easily. VR holds the user’s undivided attention and provides them a personal experience. Virtual reality is the experience of using head-mounted display. The special VR headsets cover the full vision of the user and immerse them in the computer generated a virtual 3D world. As the head of the user is moved, the movements are tracked, and the display is updated. VR ad prototypes provide a template for publishers to monetize initial experiments in a virtual reality storytelling. Google recently launched prototypes of how virtual reality ads look online. Virtual reality is an immersive technology and provides a three-dimensional entertainment for the users. Mobile users find the virtual reality advertising compelling. The engagement of users who watch the VR ad on their mobiles is more. It is much more than the engagement the ad formats trigger on the desktop. The length of engagement time of VR on mobiles is almost three times higher. Virtual reality advertising gives an opportunity for the marketers to reset the digital advertising. VR advertisements on mobile are more immersive and have an impact. These can generate strong emotions in users and change the behavior of the customers. The emergence of 360-degree ads is making the situation more complex and immersive. They allow users to have the complete view of the clip by moving the mobile devices. More than thirty percent of the brands are incorporating 360-degree videos into their marketing campaigns. 360-degree ads improve the social media reach, and the earning potential of the ads is also maximized. This is the right time for the brand marketers to reach the potential customers with immersive and engaging 360-degree videos. VR advertising is passing the probation, and its crucial role is just beginning. When the content becomes more innovative, then the technology becomes more advanced. It is going to become a cheaper more accessible to consumers. 360-degree videos allow previewing a business or services of a brand and help the customers to make a final decision. VR advertisements are popular with the tech industry, car industry, and real estates and so on. Brands are considering VR as a crucial part of their marketing campaign success. Virtual reality is going to be one of the main ways the brands are going to reach and communicate with the people. VR advertising is particularly promising in in-app advertising. Huge click-through rates proved the success of this VR in-app success. Brands should, however, realize to get the success that VR advertising is to provide experience to the consumers first and advertising comes only later.